To claim this profile, please confirm you are Makieya Bertuzzi. To follow this profile, please let us know your relationship to Makieya Bertuzzi. RESULTWin Girls varsity basketball vs. Grantsville. The Emery varsity basketball team won Saturday's neutral playoff game against Grantsville (UT) by a score of 59-31. 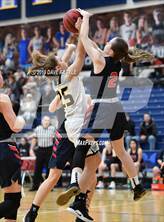 This game is part of the "2019 UHSAA Girls Basketball State Championships - Class 3A" tournament. RESULTWin Girls varsity basketball vs. Juab. 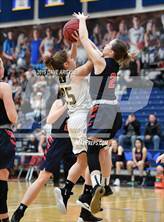 The Emery varsity basketball team won Friday's neutral playoff game against Juab (Nephi, UT) by a score of 59-30. RESULTWin Girls varsity basketball vs. Morgan. The Emery varsity basketball team won Thursday's neutral playoff game against Morgan (UT) by a score of 75-44. Makieya had 2 photos tagged from the game against American Leadership Academy. Makieya's basketball stats have been updated for the win vs. American Leadership Academy. RESULTWin Girls varsity basketball vs. ALA. The Emery varsity basketball team won Friday's neutral playoff game against American Leadership Academy (Spanish Fork, UT) by a score of 86-15. Makieya's basketball stats have been updated for the win @ San Juan. RESULTWin Girls varsity basketball @ San Juan. The Emery varsity basketball team won Thursday's away conference game against San Juan (Blanding, UT) by a score of 83-47. RESULTWin Girls JV basketball @ San Juan. The Emery JV basketball team won Thursday's away conference game against San Juan (Blanding, UT) by a score of 86-47. Makieya's basketball stats have been updated for the win vs. Grand County. RESULTWin Girls varsity basketball vs. Grand County. The Emery varsity basketball team won Tuesday's home conference game against Grand County (Moab, UT) by a score of 106-33. RESULTWin Girls JV basketball vs. Grand County. The Emery JV basketball team won Tuesday's home conference game against Grand County (Moab, UT) by a score of 73-12. Makieya's basketball stats have been updated for the win @ North Sanpete. RESULTWin Girls varsity basketball @ North Sanpete. The Emery varsity basketball team won Thursday's away conference game against North Sanpete (Mt. Pleasant, UT) by a score of 64-31. RESULTWin Girls JV basketball @ North Sanpete. The Emery JV basketball team won Thursday's away conference game against North Sanpete (Mt. Pleasant, UT) by a score of 69-13. Makieya's basketball stats have been updated for the win vs. Manti.